If you are in love, don't think too much, you can show and share this beautiful feeling not only with your special person but with everybody, the best way is with a tattoo for couples, of course this is a great idea if you and your fiance appreciate this kind of art. Below you are going to find a selection of pictures with some interesting ideas and designs for tattoos perfect for couples and to perpetuate that great moment that you enjoy together. 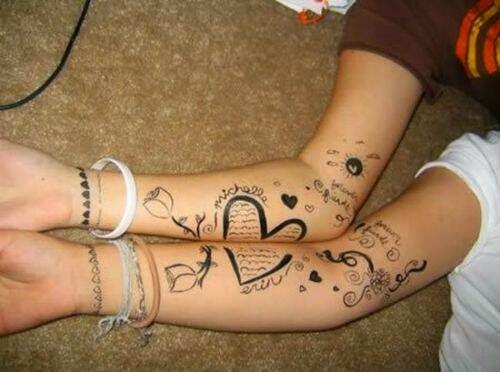 In this image we have a tattoo with a heart, flowers and phrases around. 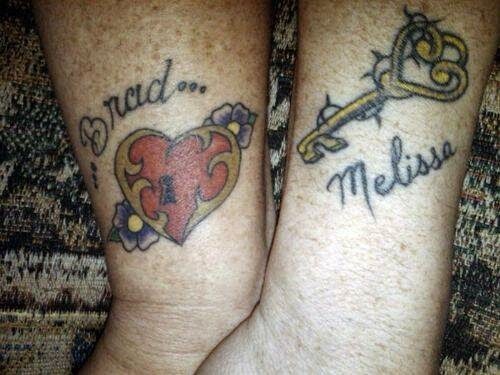 In this picture we have a tattoo for a couple with a lock and a key, each arm has the name of the other person. A tattoo with a red heart perfectly formed when hands are together. A tattoo with a lock and a key, the first one tattooed on his arm and the second one on her arm. 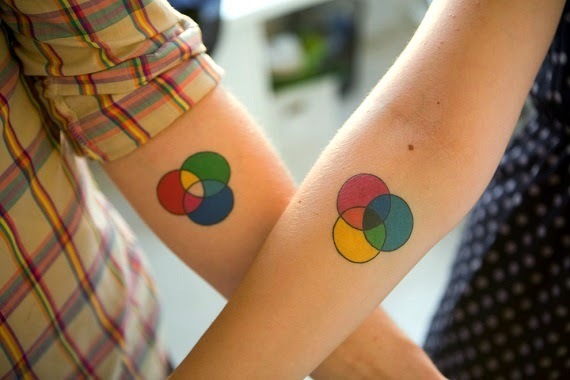 A colorful tattoo with three interlocking circles. A small tattoo for couples, one of them has a red key on his hand and the other one with a lock on her wrist. 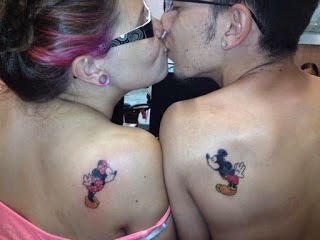 An icon of all the times are Mickey and Minnie Mouse, in this picture you have them tattooed on a couple's back. 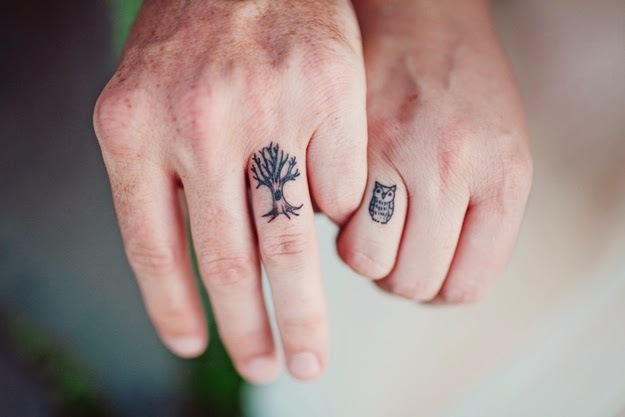 A delicate tattoo, a tree in one hand and in the other one, an owl. 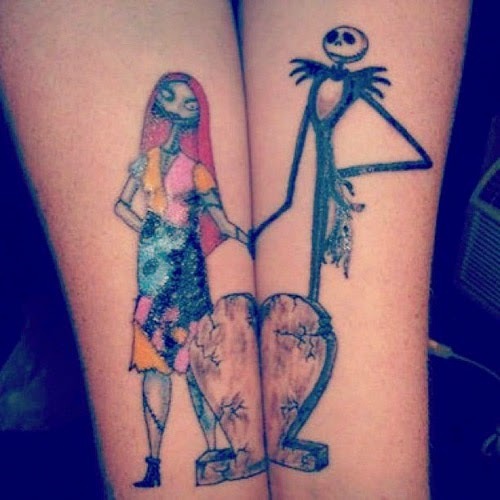 Funny picture of a tattoo for couples with two corpses. I hope you have enjoyed these Tattoos for Couples.